Bottle gourd or Dudhi or lauki is very ayurvedic vegetable among all others. But good things always come with drawbacks. 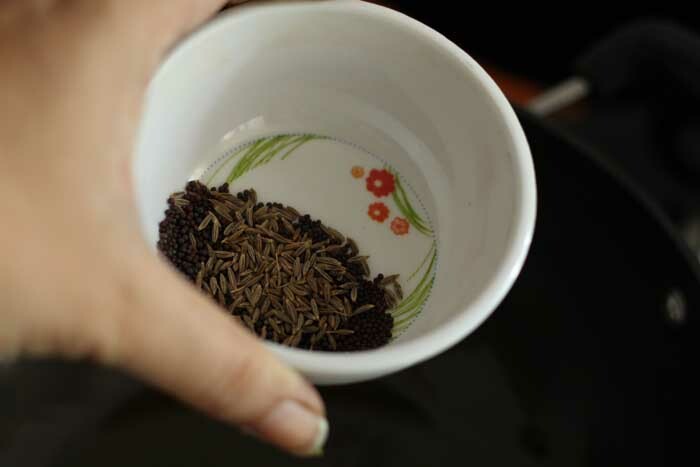 The taste of lauki is littler bitter or mild rather than other vegetables, so how to incorporate into our menu is difficult for every Indian homecooks. So, I generally use grated version. Either I use it into muthia recipe or in soup., sometimes I add it into dal recipes, nobody has ever noticed it. 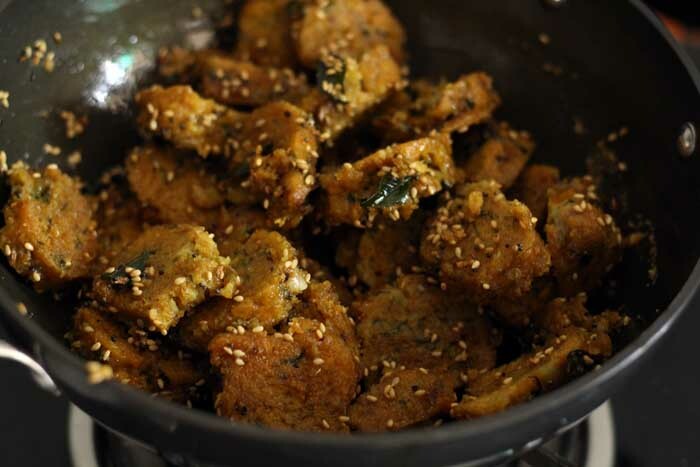 Here, I have share both fried and steamed muthia recipes. I love the fried muthia recipe, but it’s not good for heath, So I generally use steamed muthia with different Tadka or tempering. You can use any vegetables into it. But I suggest the below combos are much better to give a try. methi or dudhi alone itself is enough. And many more, but I have tried some of above, and goes well. Take all the flours into mixing bowl. 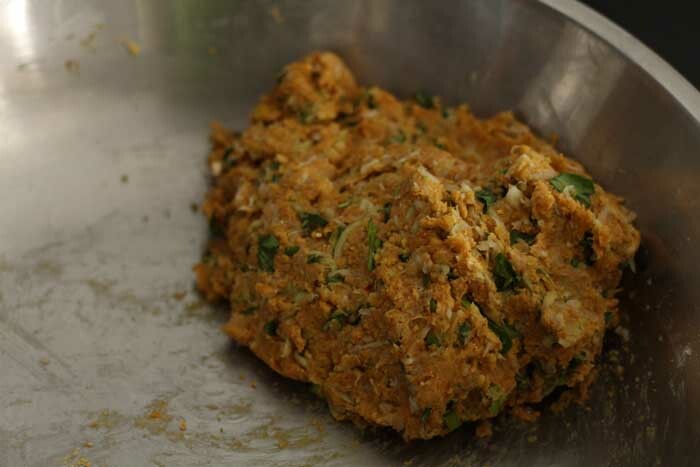 Then add chili, ginger and garlic paste into it. Now add oil all other dry spices. First mix them well before adding wet ingredients. Now add vegetables and curd. Don’t forget to add soda by carb at last. Mix them well, and make sticky dough using curd only. Then give shape and place them into steamer. Now cut them into slices. 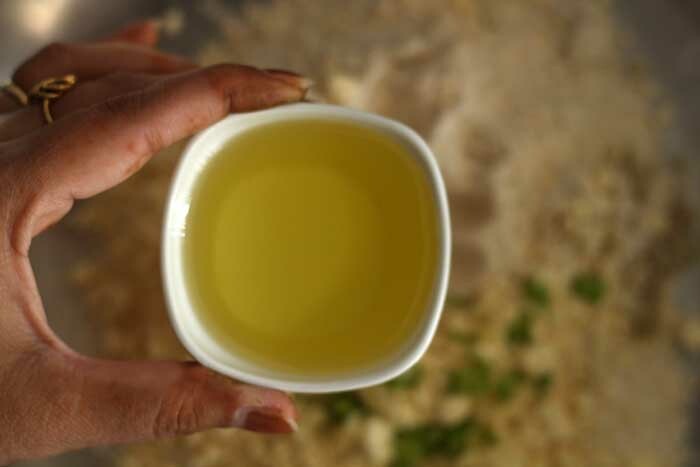 For tempering, heat the oil into large pan, add mustard and cumin seeds. 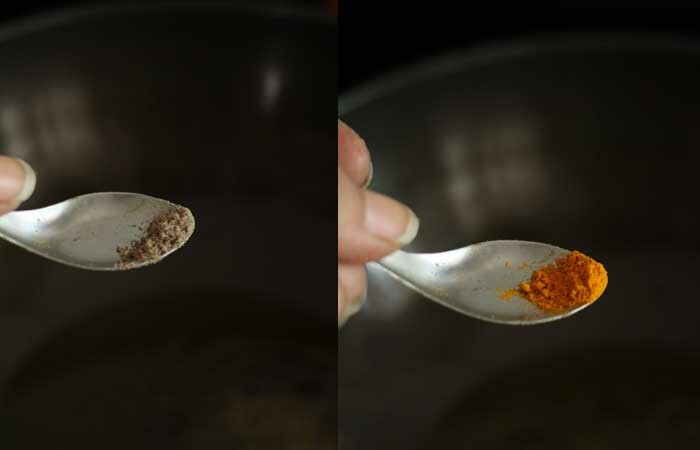 Add pinch of trumaric powder and asafoetida. 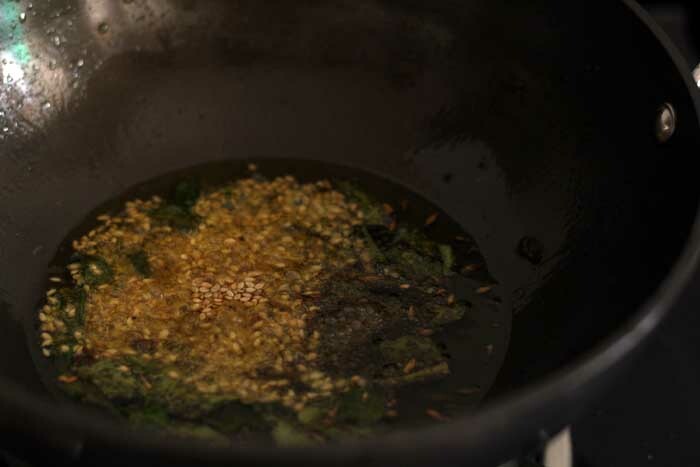 After they simmering, add curry leaves and sesame seeds. now add sliced muthia and let it simmer for 5 minutes. your muthia is ready to serve. 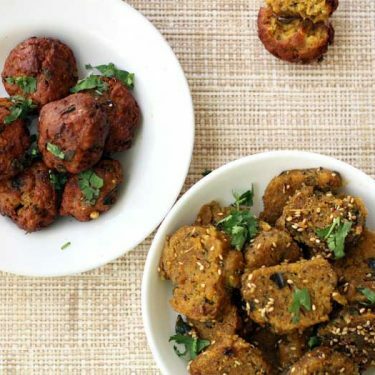 you can serve it with yogurt or green chutney, or with tea. For fried Version, use steamed slices to deep fry. Fry till they look golden brown. 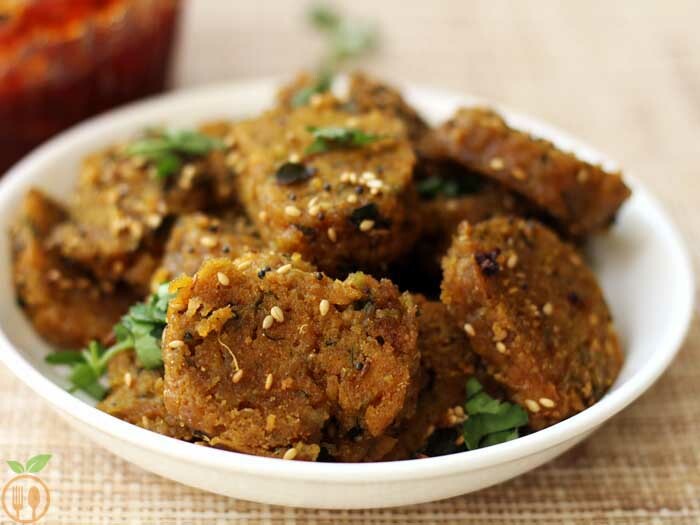 Use more amount of gram flour (besan) to get fluffy and soft dudhi muthiya recipe. 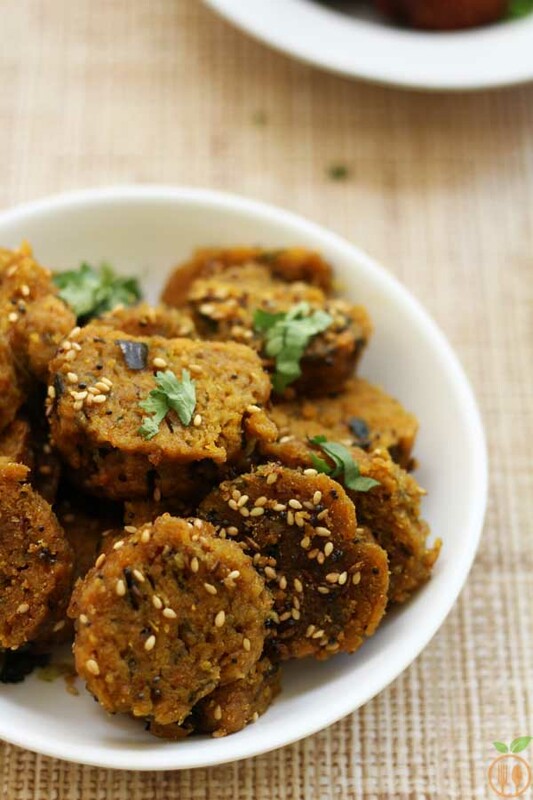 I use sometime 50%-50% ratio of wheat flour and gram flour. 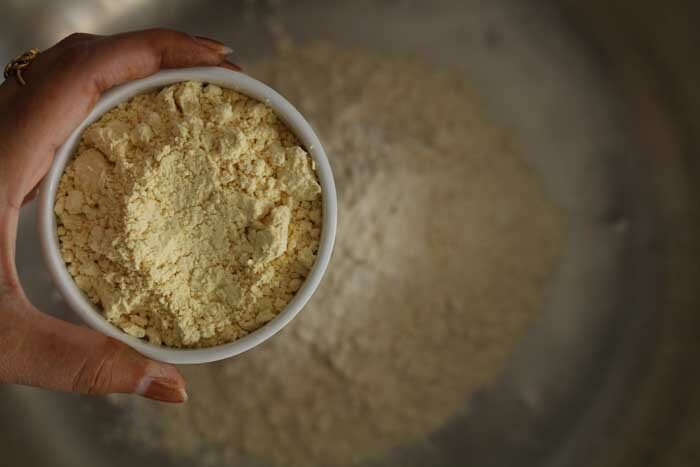 You can also add any other flours like millet flour, oats flour, semolina, ragi flour and rice flour. Use only curd to make dough. 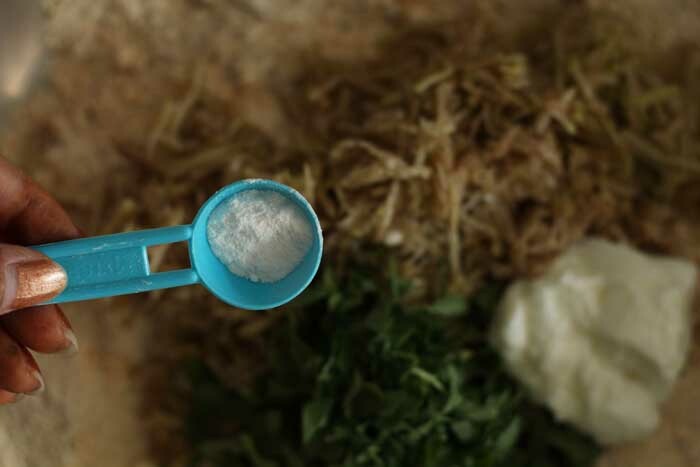 If you are using water then add more soda by card to get soft muthiya. Otherwise muthiya will be quite dense. 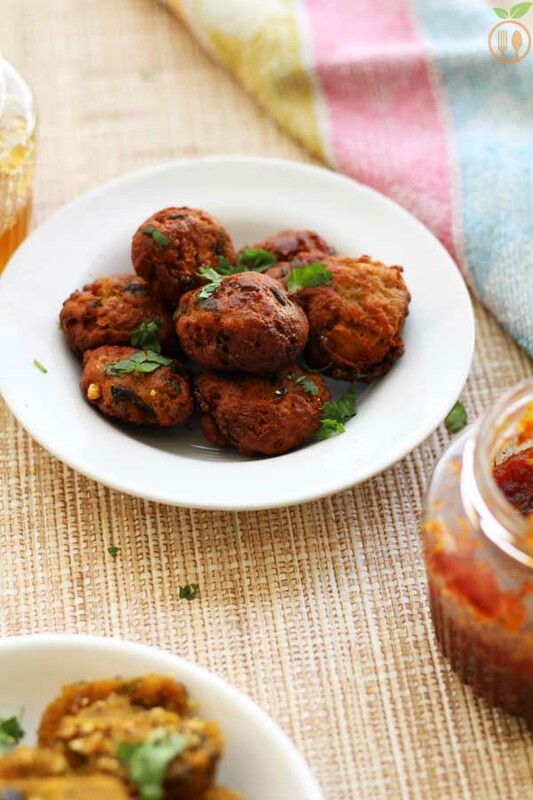 You can use any vegetables into this muthiya recipe. But some vegetable goes well with each other i.e. bottle gourd-fenugreek, onion-potato-fenugreek, carrot-onion-spinach, only spinach, cabbage-onions. These are the best combos those work together very well. 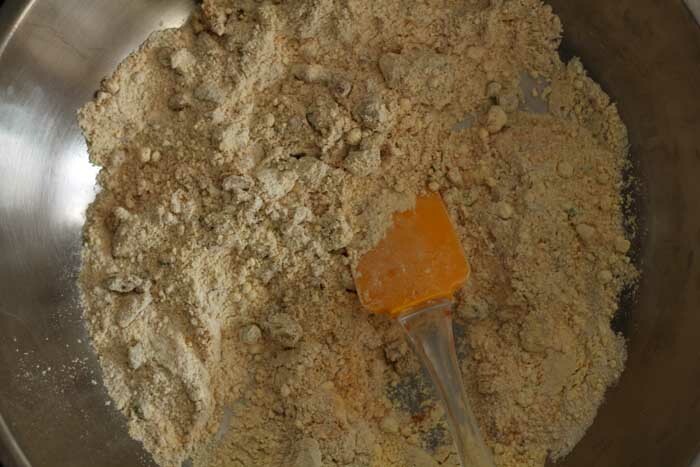 Take wheat flour and gram flour into mixing bowl. 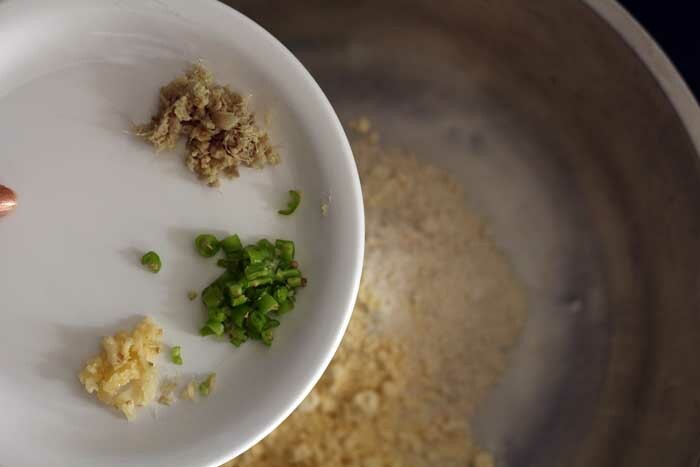 Add garlic, ginger and green chili paste. 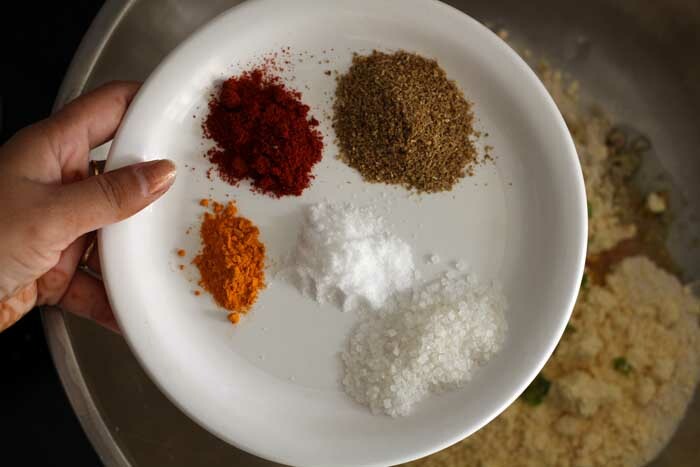 Add oil, and all spices like turmeric powder, red chili powder, coriander powder, salt and sugar. Now mix all dry ingredients first. 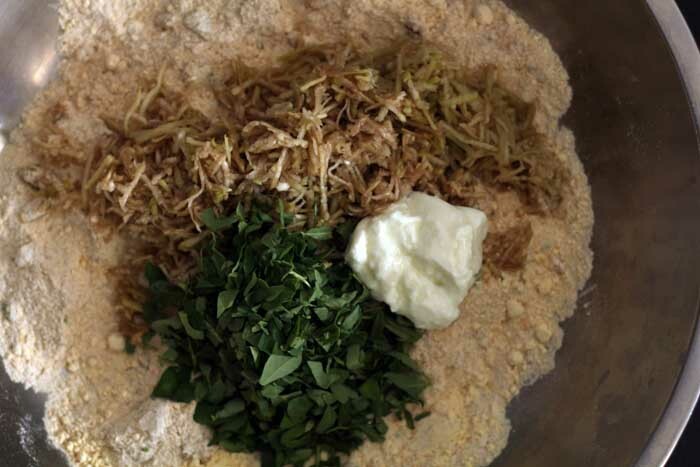 Then add grated bottle gourd, fenugreek(methi) leaves and curd. Mix it well by hand. Make dough like mixture, If needed add more curd to bind them well. Do not use water. 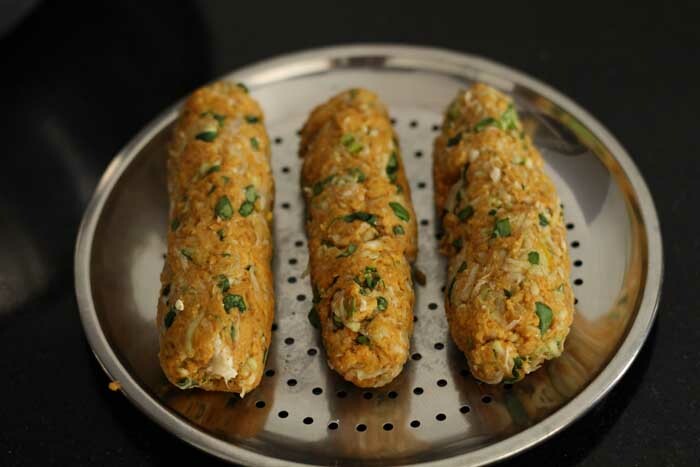 It looks sticky, so grease your hands with some oil, and make long cylindrical rolls from it. Put them into steamer. First 5 minutes, steam them at very high flame, them reduce the flame at law, and steam them for 15-20 minutes. Remove from gas, and let it set for 5 minutes, then transfer steamed rolls into plate and cut then into slices. You can serve this steamed muthia as it is. It is good snack with tea or for even breakfast. To make Fry muthia: heat the oil into pan, and fry all slices till its golden brown color. Make more tempting, let's have tadka for it. heat some 2-3 tbsp oil into pan. 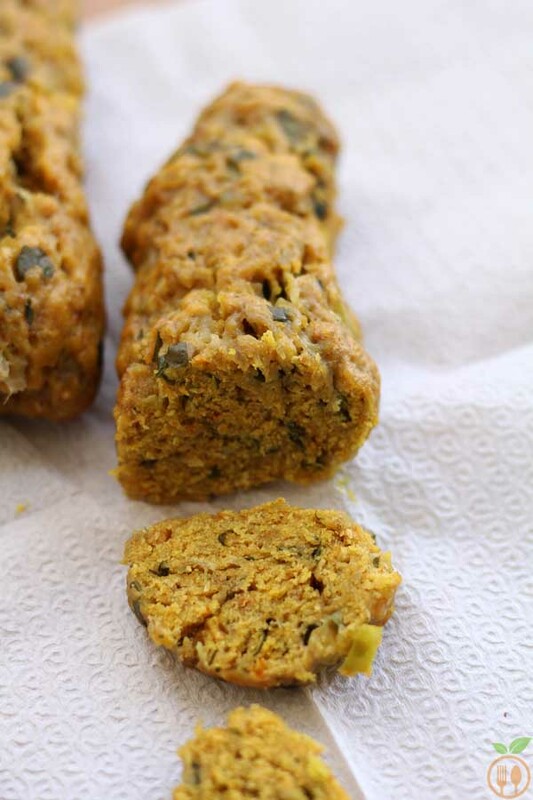 Add mustard seeds, cumin seeds, pinch of asafoetida (hing) and pinch of turmeric powder. 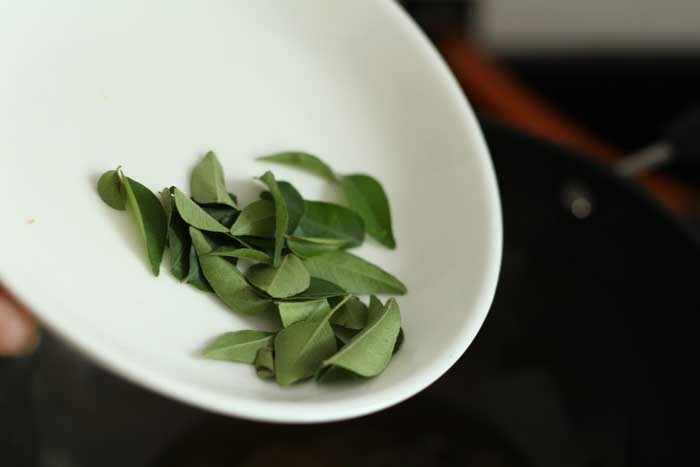 then add some curry leaves and sesame seeds, and add all sliced muthia into it. stir them well. and cook for 5 minutes at law flame. They are ready to serve. 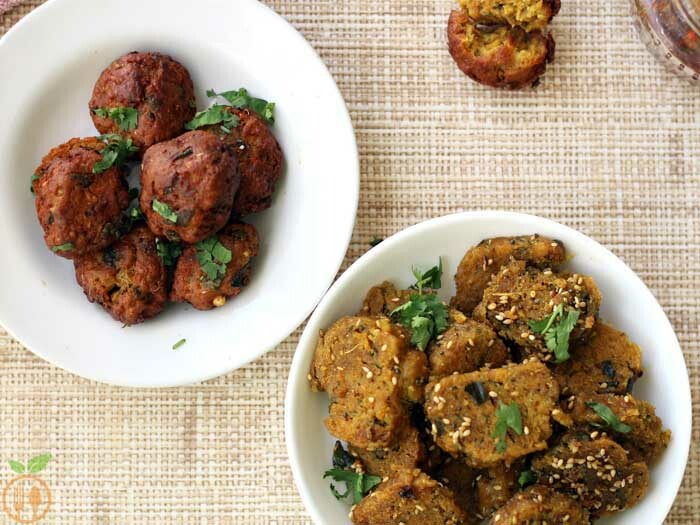 2) For any party food menu, these will be a much known and most adaptive appetizers for every age of people. 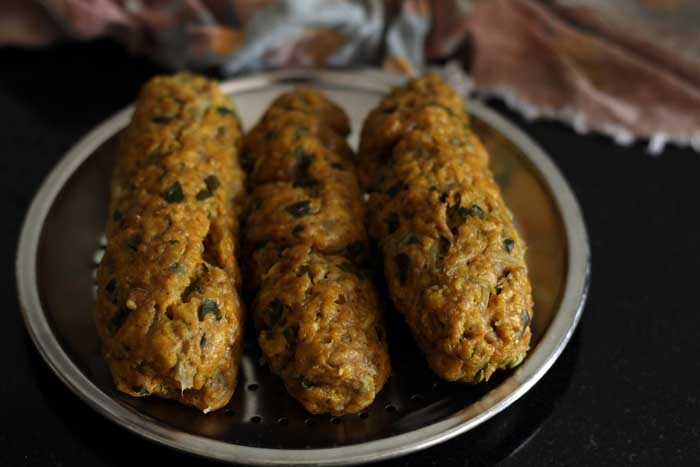 3) You can serve it with green Chutney or curd also.